The Isle Royale archipelago is made up of many smaller islands and dotted with reefs and rocks, making its shipping lanes very dangerous to navigate. 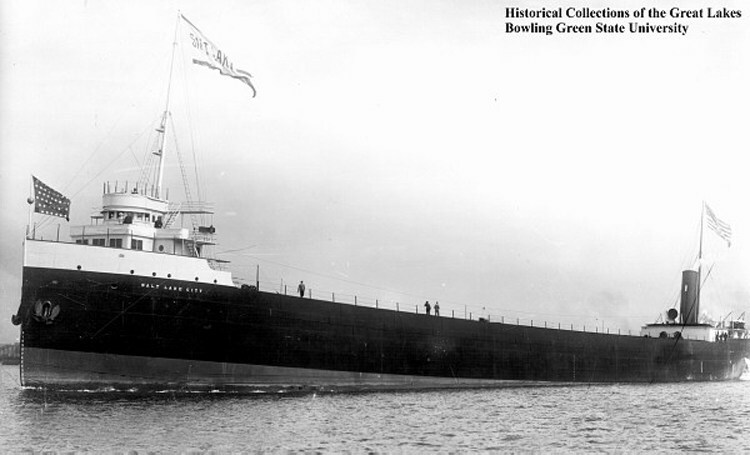 At least a dozen ships have wrecked off Isle Royale, including the Algoma (1885), the America (1928), the Chester A. Congdon (1918), the Chisolm (1898), the George M. Cox (1933), the Cumberland (1877), the Emperor (1877), the Glenyon (1924), the Kamloops (1927), and the Monarch (1906). 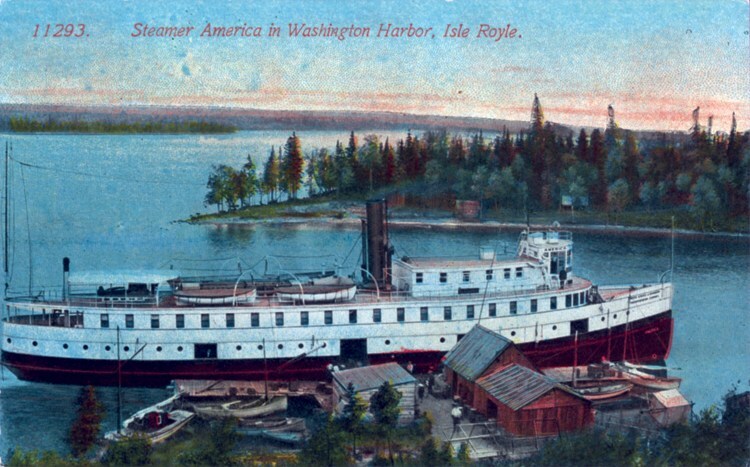 The America, owned by the A. Booth Company, was a beloved ship on Lake Superior, serving for most of its life as a transportation link between Isle Royale and settlements along the Minnesota north shore (which also made the America an important communication tool). In 1908 a forest fire threatened those very North Shore townships, and the Minnesota governor called on the America to evacuate those at Beaver Bay. She rescued about three hundred villagers. On June 6, 1928, the America left Grand Marais for Isle Royale to drop off passengers before heading to Port Arthur. In the early morning hours of June 7, she struck a reef near Isle Royale’s Washington Harbor, skidding over the rocks four times and ripping a hole in her hull just below the engine room on the starboard side. The ship’s pumps couldn’t keep up with the water pouring in. The captain ordered the ship to steer for the north gap of Washington Harbor in an attempt to beach her, but it struck more rocks and stopped ninety feet from shore. All thirty-one passengers and crew managed to get off the America before she slid off into deep water.